In India Hyundai’s i10 is best selling car in the market after beating WagonR. Hyundai cars comes with better features than other car brand. Hyundai is launching latest hatchback Grand i10 in the Indian marketing recently. This hatchback is based on 2014 Euro-spec i10 and it has larger body than normal i10. the 2 Grand i10 automatic versions come for Rs 5.64 lakh & Rs 5.92 lakh respectivel. 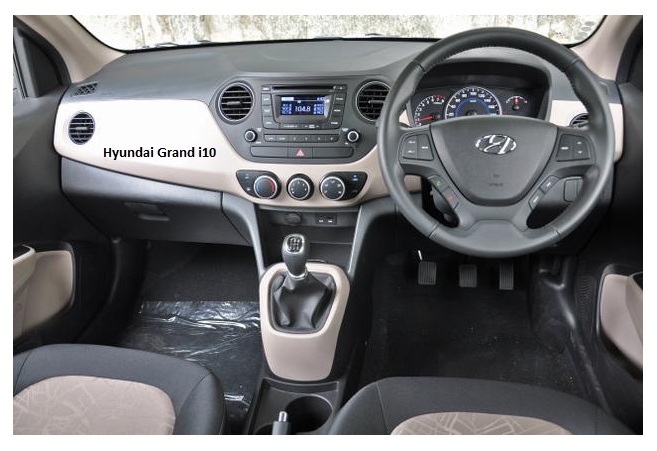 Grand i10 automatic comes 82 bhp (85 PS) delivered through a 4-speed automatic box and a 1.2-liter Kappa engine.